OST 2 PST software is a user-friendly approach, for converting OST files into Outlook PST formats. It extracts all the data from OST like emails, calendars, tasks and contacts along with maintaining the data integrity (like Metadata, Cc, Bcc, etc. of the emails will be same). The basic feature of the software is that it can easily repair corrupt OST file and compatible with Outlook 2016, 2013, 2010, 2007 and all below versions. What Microsoft OST 2 PST Converter can do? This software helps to repair corrupted or damaged items from OST file like emails, calendars, contacts and so on. 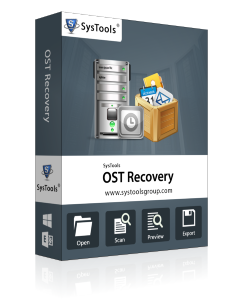 OST 2 PST helps to free recover damaged and permanently deleted data from Offline OST files including emails, calendars, tasks and etc., keep their associated metadata properties preserved throughout the process. Moreover, the tool is capable to restore all deleted emails from OST data. After recovering files, the tool saves the repaired file into PST and make data accessible. After adding the OST file, software will use Quick scan to recover the data. In case, if the OST files become corrupted then, quick scanning mode can not provide precise results. In that situation, users need to choose advance scanning option, which helps to recover OST files whether OST files is severely corrupted or auto scanned. In any case, user want to stop the scanning process in between then, choosing the Stop option. The OST file that is to be exported into PST file can be free previewed before conversion. Its component like calendars, tasks, notes, etc. can be viewed OST files along with the emails attachments. It provides an option to export all the selected items from recovered OST file by check/uncheck the items and need to convert it into any available formats. OST 2 PST software maintains the internal folder structure of Offline OST file as same while creating Outlook PST file. There will be no changes needed inside the internal hierarchy of data files and folders. Moreover, tool ensures to meta properties like To, CC, Sent , etc., remains intact after process completion. In addition, the original formatting of all data remains as original. While extracting the Offline OST files into PST format, then, a user can apply the PST split option to divide the resultant Outlook PST file into multiple parts by size. In case, if the size of Outlook PST file is too large, then a user can choose the splitting option for breaking down the file. Make sure, users have to specify the file size in GB and the tool will generate multiple PST file of same size. Watch – How to Convert OST File into PST Format? 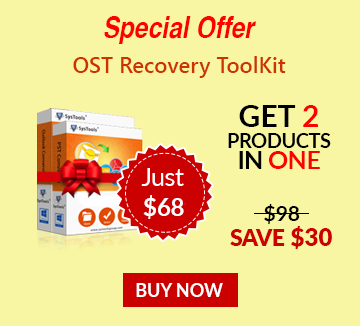 May I Know the Working of OST to PST Software in Short? Free Download OST to PST Software and Add OST File. After Recovering OST File. Select Emails and Click on Export. 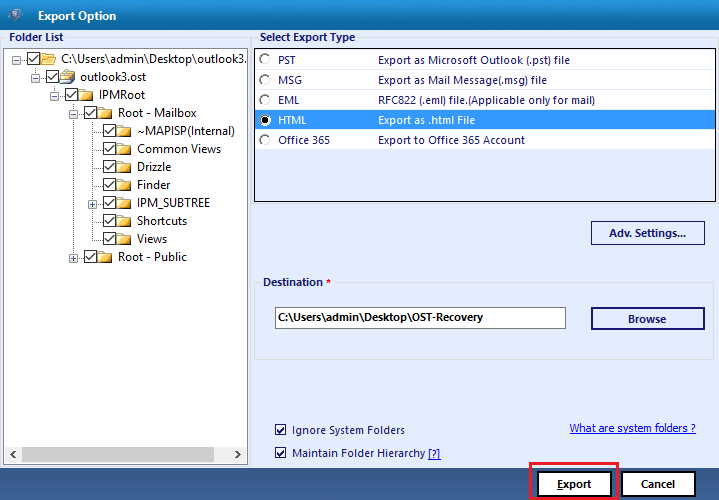 4 Options to Export OST File - PST / EML / MSG and Office 365. Select Required Option and Click on Export button. Does the OST 2 PST software impose any kind of file size limitation for migrating OST file in PST? No, users enable to recover any size of OST files into PST. It does not impose any limitation on the size of OST files. How many Offline OST files I can restore at once? OST file to PST software will permit to add a single OST file at a time. Even, users unable to perform the exporting of Offline OST files in bulk. Moreover, a user capable to add OST files separately and then, export all of them together. Is Microsoft Outlook installation is required while converting OST file to PST format? Yes, MS Outlook installation is necessary for OST 2 PST Conversion. However, while exporting Offline OST files to another file format (MSG or EML) there is an option to install MS Outlook. Is your Offline OST file to PST Converter software compatible with Mac Operating system? "I am working on Mac OS and need to migrate OST file to PST on this platform. So, I want to understand whether this application is supported on Mac or not?" No, you can free download OST to PST Software only on Windows OS. The tool does not support Mac OS. Thus, software cannot be used on Mac machine. Does your OST 2 PST migration software maintains the folder structure without any kind of data loss? "I want to retain the folder structure of Offline OST file into the manageable way and then, save it direct. Thus, I want to know that Is there any software that can maintain the integrity of Outlook file?" Yes, the software able to maintains the file or folder structure in an original format. The activity does not alter or change the original structure after converting OST file to PST. The best part which I liked about this application is its performance and graphical interface. Being a non-technical user, I was easily able to export Offline OST files into PST format without any difficulty and its interface is much easier than another tool. It is really a useful utility to perform the OST 2 PST conversion without any data loss. Thanks for developing this kind of wonderful tool.